The rights to the Fallout MMO have returned to Bethesda. And just like that, it's over. The settlement between Bethesda Softworks and Interplay in the dispute over Fallout Online, announced last week, immediately returned the rights to develop a Fallout MMO to Bethesda, with all related licenses previously granted to Interplay declared null and void. Bethesda's parent company, ZeniMax Media, agreed to pay $2 million to Interplay as "consideration" in the settlement, and both companies will pay their own legal costs. The deal will also see the rights to the other Fallout IPs - Fallout, Fallout 2 and Fallout Tactics - become the property of Bethesda as of December 31, 2013. Bethesda's original deal to acquire the Fallout franchise from Interplay in 2007 granted merchandising rights to the original Fallout games to Interplay, but under the terms of the settlement those rights will now expire at the end of 2013, at which point Interplay will be fully, finally out of the Fallout game. In many ways, it's a sad resolution to the matter. There was a time when Interplay was an industry powerhouse that numbered among the best in the business and while those days are long gone, Fallout Online - while always a long shot - represented its last, best chance at gaining some sort of footing in the game industry. 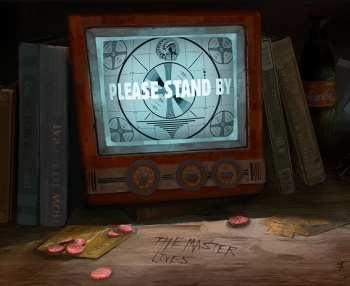 There was something romantic about the idea of a new Fallout game with the Interplay logo on it, and something vaguely awe-inspiring about the company's steadfast refusal to just give up and die. And this latest setback still may not put Interplay down, but whatever it's future holds, it will be a future without Fallout. I'd kind of hoped for a different end to the tale. Bethesda also reached a settlement with Masthead Studios, which had been contracted by Interplay to develop the Fallout MMO, under which Masthead acknowledges that it has no legal right to use any Fallout intellectual property and agrees that it will not do so in the future. No payments were made by either Bethesda or Masthead in that settlement.